Officially Licensed NFL Sport Utility Gloves - Several Teams Available! Only $4.99 Plus FREE Shipping! You are here: Home / Great Deals / Officially Licensed NFL Sport Utility Gloves – Several Teams Available! Only $4.99 Plus FREE Shipping! Officially Licensed NFL Sport Utility Gloves – Several Teams Available! Only $4.99 Plus FREE Shipping! Show your support for the team while at the same time giving your hands protection and extra grip! 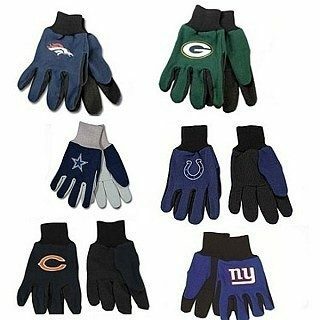 The soft construction of these Officially Licensed NFL Sport Utility Gloves – Several Teams Available! Only $4.99 Plus FREE Shipping provides warmth and protection while working!